It’s freezing outside! Literally. It’s no fun taking the kids out into the cold, but cabin fever can strike fast after a few days at home. So what are some fun things to do right here in Louisville with your family that don't require 2 pairs of gloves? Below are a few fun winter activities. Some are free and some charge a small admission fee. 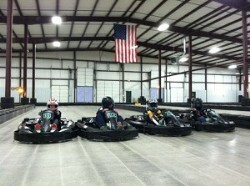 Indoor go karts right here in the Bluegrass state. Let the kids put the pedal to the medal, then jump in your own kart and race them at this (warm!) indoor go kart rink (Blue Grass Indoor Karting). The Belle of Louisville is turning 100 years old next fall. There will be a huge 4 day festival to commemorate this historic event. Did you know the Belle is the oldest working steamboat in our nation? It’s the 2nd oldest working steamboat in the world- South America has a working steamboat that is only one year older. The crowds will be lining up next year to take a ride on the Belle in her 100th year of operation so get in before everyone else does! Cruise the Ohio River on a relaxing tour and kick back. 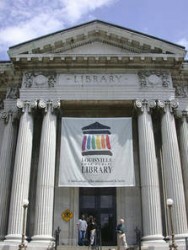 The Louisville Free Public Library has monthly book clubs, knitting clubs, kids clubs and other activities. It’s not just a place to check out books anymore- although you should check out a few while you are there. Each library location has their own monthly crafts and/or clubs so make sure to take the kids over and let them learn while they're entertained. The best part- it’s free! I have lived in Louisville for 10 years and still haven’t made it to the Derby. It’s on my bucket list. I went to Churchill Downs and visited the Kentucky Derby Museum a few times when I was a child, and it was a great experience. The Derby Museum is open from 9-5 Monday-Saturday and 11-5pm on Sundays during the winter months. Churchill Downs is a hotspot for Louisville and brings people from all over the world to our fair city. Let the kids learn a few things about the history of this great sport and check out the museum! If you make a few calls in this spring, you can take your children to the race tracks in the morning and let them watch the horses practice racing on the field. Racing resumes Saturday April 27th. To Learn more about homes in Louisville or things to do in the Louisville area, contact At Home In Louisville Real Estate Group. At Home In Louisville Real Estate Group invites you to this stunning home with distinctive features. The property will be Open this Sunday 1/27/13 from 2-4pm! Over 3600 square feet of living space and a walk out finished basement! Don't miss it! Please contact us with questions about 500 Standwick Way or homes in Louisville, Ky.
3354 Newburg Rd Louisville Ky will be Open this Sunday January 27th from 2-4. A Keller Williams Agent will be on site to answer questions and give a tour of the home. The home is a spacious four bedroom with wonderful hardwood floors in many of the rooms. The home has been lovingly cared for by the same owner since 1959 and recently received a new roof. To learn more about this home and other Open Houses in Louisville KY, call At Home In Louisville Real Estate Group today! Come out to see 4013 Hillbrook Dr Louisville KY 40220 from 2-4pm this Sunday January 27th! Location, Location, Location! You will love this three bedroom ranch with wonderful updates inside and out! Call 502-371-1173 to learn more about this home or Open Houses in Louisville KY. 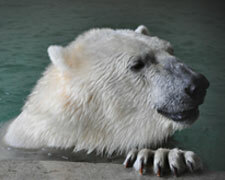 The Louisville Zoo is open year round offering a year full of educational opportunities and events for local families. If you're visiting the area, the zoo is an enjoyable outing for children or adults alike. The zoo is open every day (with the exception of Thanksgiving, Christmas, and New Years Day) and is open until 6pm during the summer months and 5pm the remainder of the year. The Louisville Zoo is located at 1100 Trevilian Way, Louisville, KY 40213 just minutes from The Highlands and Bellarmine University. 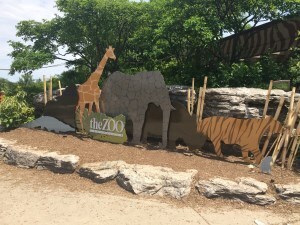 The zoo boasts a variety of animals and has several award winning exhibits including Islands (a multi species rotational exhibit ), Gorilla Forest, and their newest highlight Glacier Run (a great way to view polar bears and grizzly bears). There are numerous events at the zoo throughout the year including a fun Halloween Party, concerts, a walking club, movie nights for kids, school programs, night safaris, camps, and more! 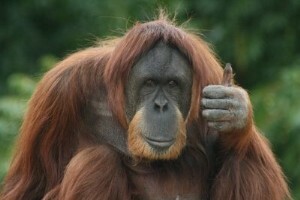 Admission to the zoo is currently $14.95 for adults and $10.50 for children and seniors. Zoo membership is currently $59 for an individual or $89 for a family (with promotional discounts offered at times). Zoo membership gives unlimited admission throughout the year, a discount at the gift shop, discounts on concessions, as well as free or discounted admission to zoos and aquariums included on a special reciprocal entry list (viewable on The Louisville Zoo website). To learn more about things to do in the Louisville area or homes in Louisville KY, we invite you to explore our website or contact a member of At Home In Louisville Real Estate Group. We would love to show you around town! 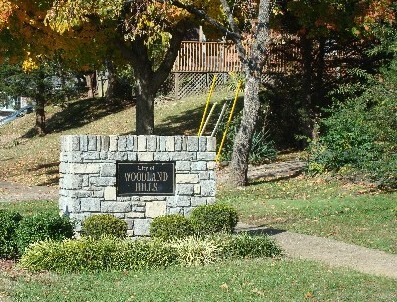 Woodland Hills is a fantastic neighborhood in Louisville, Ky! The neighborhood is located right near Middletown in the east end of Louisville and features mature trees, grassy lawns, sidewalks, and easy highway access. The neighborhood is fairly quiet with helpful, welcoming residents, and accessible staff at the City of Woodland Hills. Sidewalks run throughout the neighborhood and into the nearby subdivision of Crosscreeke. 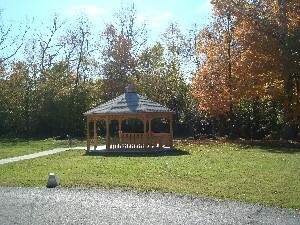 Its a great area for outdoor enjoyment including walking, jogging, and bike riding. The neighborhood even has its own park (Hardy Brinly Park) and is within walking distance of two schools (Hite Elementary and Eastern High). The neighborhood has quick access to shopping and dining options along Blankenbaker Parkway and Shelbyville Road. Several banks, Kroger, Walmart, Target, and the post office can all be reached in under five minutes! We love Woodland Hills and we're pretty sure you will too! Come and see At Home In Louisville Real Estate Group at 2342 Strathmoor Blvd this Sunday January 20th from 2-4pm! Fantastic four bedroom home minutes away from Cherokee park with loads of character! To learn more about this home or other Open Houses in Louisville KY, contact us at 502-371-1173 and we will be glad to assist you! 4013 Hillbrook Dr Louisville KY 40220 will be Open This Weekend! Come out for a viewing from 2-4pm this Sunday January 20th! Beautiful three bedroom ranch in an excellent location! Incredible updates throughout! If you would like to view other Open Houses in Louisville KY, we invite you to explore our website or call us for additional information at 502-371-1173. 3354 Newburg Rd, Louisville, Ky 40218 is a spacious four bedroom traditional style home in Watterson Park. Enter into an open Living Room featuring a handsome fireplace with tile surround and gleaming hardwood floors that flow into the Formal Dining Room, Kitchen, and first floor Bedrooms. The spacious Formal Dining Room offers plenty of space for family and holiday meals. The Kitchen offers up yet another great dining area, a view of the back yard, and a good amount of cabinetry. Those who enjoy hosting will love this layout! The Laundry Room is located off of the Kitchen and provides extra cabinets for storage needs. In addition to hardwood flooring, the two first floor Bedrooms feature a nice sized space, ceiling fans, natural light and neutral décor. The first floor also includes a Full Bath and separate Den. The second floor contains two more large Bedrooms featuring hardwood flooring positioned conveniently to another Full Bath. The Basement offers lots of room for storage or expansion and also provides a newly carpeted Family Room. New residents will enjoy the grassy Back Yard complete with two car detached garage. 3354 Newburg Rd, Louisville, Ky 40218 has been lovingly maintained by the same owner since 1959 and has newer heating and ac systems as well as a new roof. To set up your showing and begin your search for Louisville Real Estate, call today! 2342 Strathmoor Blvd Louisville Ky 40205 is located in the highly desirable Strathmoor Village neighborhood and is overflowing with character! Imagine arriving home to the welcoming front porch which leads into a spacious and bright Great Room. The Great Room is accented by textured title fireplace with wrap around mantle and sparkling hardwood floor! The hardwood flooring continues into the cheery Sunroom which provides a nice space to read a good book or enjoy a cup of coffee. The Formal Dining Room also showcases hardwood flooring as well as a nice chandelier fixture, a long window providing great natural light, and a breakfast bar connecting to the Kitchen. In the Kitchen you will find, stainless appliances, tile backsplash, and a good amount of cabinetry. Two nice sized Bedrooms on the first floor contain hardwood flooring and are convenient to a Full Bath. A fabulous Master Suite makes up the entire second floor complete with vaulted ceiling, recessed lighting, plush carpeting, separate sitting area, and private Master Bath with a soaking tub, walk in shower and a unique back to back double vanity. The basement is finished offering a good sized Family Room, Den, additional Bedroom, Laundry Room and a Full Bath with walk in shower. A separate entry/exit stairway out to the back patio area makes the basement more accessible and gives added privacy to the lower level bedroom. The back yard is partially fenced by a wood privacy fence and features a patio area, deck and 2 Car Detached Garage. 2342 Strathmoor Blvd Louisville Ky 40205 has had several recent updates including a new roof on the house and garage in 2012, new water saver toilets in all three bathrooms in 2010, and a new water heater and GE appliances added in 2009. The home is just minutes away from Seneca and Cherokee Parks! To schedule a showing to see this home or to learn more about Louisville Real Estate, please contact us today! 8717 Deer Point Ct, Louisville, KY 40242 is a wonderful one story brick Patio home in Harmony Place. The inviting front porch entry leads into the spacious, airy Living Room featuring an attractive ceiling fan and vaulted ceiling. The Eat in Kitchen houses a nice dining area, double sink, and decorative chair rail, along with a good amount of cabinet and counter space. The Master Bedroom is a relaxing retreat complete with a nice size walk in closet, private Master Bath, ceiling fan, and sliding glass doors that lead to a private patio. The secondary Bedroom is good sized and close to another Full Bath. The large patio and back yard are the perfect spot to enjoy a sunny morning or quiet evening out doors. The yard's grassy area, landscaping, and privacy fence add to the feeling of serene seclusion. The unit also includes a 1 car attached garage! 8717 Deer Point Ct, Louisville, KY 40242 offers easy highway access, ideal location, easy maintenance, and one story living! You can have the best of both worlds, peaceful living convenient to all the amenities including shopping (the Malls and Westport Village), dining, and Tom Sawyer State Park! To schedule a showing to see this home or to learn more about Louisville Ky Condos and Patio Homes, call At Home In Louisville Real Estate Group today! Prime location, wonderful square footage, and unique features throughout! 500 Standwick Way, Louisville, KY 40245 is a beautiful 1.5 story home in Notting Hill featuring a finished walk-out basement and 2 car attached garage. Visitors to the home are greeted by a lovely two story foyer accented by hardwood flooring with a distinctive inlay. The arched window above the beveled front door adds natural light. Hardwood flooring continues throughout the Great Room, Formal Dining Room, and Eat In Kitchen. The open Great Room showcases a recessed display shelf and a fireplace with marble surround and built in storage above. The Eat In Kitchen is accessed through a huge arched entryway from the Great Room and features stainless appliances, a large eating area, bar, breakfast island with pendant lighting, and a walk in pantry. The kitchen also boasts two sinks (one of them double), skylight, and custom cabinetry including two "hidden" storage drawers. Wow! The Formal Dining Room displays crown molding, wainscoting, custom painted ceiling, and chandelier fixture. The Master Suite adds luxury in this home with a large walk in closet, tray ceiling, and double doors to the back deck. The private Master Bath is complete with an oversized walk in shower, Jacuzzi tub, and ornate double vanity. A Half Bath and Walk-In Laundry Room complete the first floor. Stairs to the second floor lead to a unique Loft office space complete with built in desks. The Second floor also includes two spacious bedrooms positioned close to another Full Bath. The finished basement is an entertainers dream! An inviting Basement Family Room opens to a large sitting/game room containing a wet bar. The fourth Bedroom, Den, and yet another Full Bath round out the basement. A wooded view, long partially covered deck, patio, and private yard are just a few of the features to enjoy outdoors. This home is fantastic on utilities and qualifies for an Energy Star rating. If you are looking for a home positioned close to shopping and dining, featuring square footage to spare and stunning finishes then don't miss 500 Standwick Way, Louisville, KY 40245! To schedule a showing or to learn more about Louisville Real Estate, please contact At Home In Louisville Real Estate Group today! 133 Inglenook Drive, Taylorsville, KY 40071 is a gorgeous brick ranch in Earlywyne Plantation featuring a huge finished walk-out basement and open floor plan! This home showcases custom trim work, sparkling hardwood flooring, and ten foot ceilings throughout! Beautiful hardwood flooring flows throughout the Great Room, Formal Dining Room, and Kitchen. The Great Room is spacious featuring a fireplace with marble surround, tray ceiling, and two windows that look out to the back deck.The Kitchen is perfect for cooking and entertaining with abundant cabinet and counter space, stainless appliances, a breakfast bar, and an oversized dining area. The Formal Dining Room adds additional entertaining space with a 14 ft ceiling accented by crown molding, several large windows for natural light, and an attractive chandelier fixture. The Master Suite is wonderfully indulgent with plush carpeting, neutral decor, vaulted ceiling, and private Master Bath. The Master Bath is a spa-like experience with a Jacuzzi tub and walk-in shower. The split floor plan of the home adds privacy for the bedroom areas. The first floor is completed with two large secondary bedrooms, another Full Bath, and a Laundry Room. The Walk-out Basement features 9 ft ceilings throughout and fantastic tile flooring. A floor to ceiling stone fireplace with raised hearth is the highlight of the basement Family Room which connects to a large Recreation Room. A separate Den, additional Bedroom, and Full Bath complete the basement. Outdoor enthusiasts will absolutely love spending recreational time on the two tiered deck while enjoying the private wooded view from the back yard. 133 Inglenook Drive, Taylorsville, KY 40071 is only 5 minutes away from downtown Taylorsville and only twenty minutes from the Gene Snyder! To learn more about this home, Taylorsville, KY homes for sale, or homes in Spencer County, please contact At Home In Louisville Real Estate Group today. 5611 Halstead Ave, Louisville, KY 40213 is a great value and offers room to grow! This 1300 square foot cheery ranch features a 1.5 car detached garage complete with a workshop in one end for the "handyperson" in the family. The home is spacious boasting 3 Bedrooms and a Living Room as well as a separate Family Room. The Living Room opens to the Kitchen, is neutral in decor, and has received brand new carpeting. One of the three Bedrooms along with the Hallway have also received new carpeting. The Kitchen has a nice amount of cabinet space and lots of natural light. The Family room exits to the back patio and offers closets for additional storage. All three bedrooms have neutral walls and are convenient to the freshly painted Full Bathroom and Laundry Room. You will enjoy the fully fenced and flat back yard! A few of the updates at 5611 Halstead Ave, Louisville, KY 40213 include a new water heater in 2012, new dishwasher in 2011, new roof in 2008, and new windows in 2007. To set up your private showing to see this home or to learn more about Louisville Real Estate, contact At Home In Louisville Real Estate Group today!